The MVS Scholarship committee selected ten 2018 MVS Scholarship recipients from the many applicants. 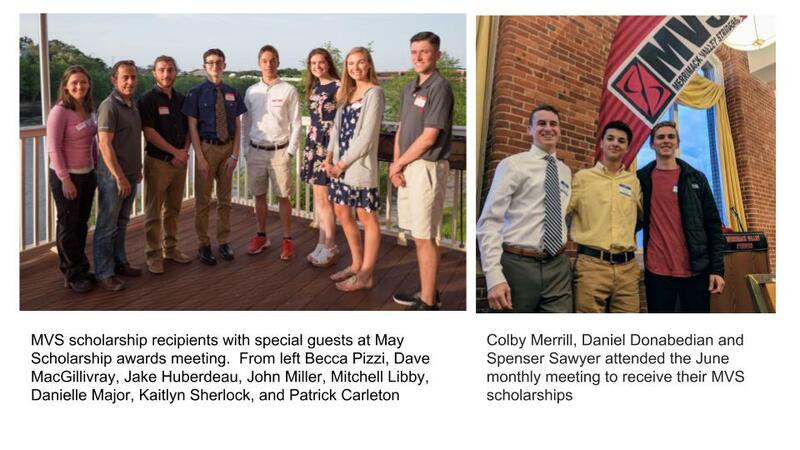 The scholarships were presented to the recipients at the May and June monthly meetings held at Salvatore's in Lawrence MA. Each year, MVS offers scholarships to local college-bound high school seniors. Each applicant is selected on the basis of their high school academics, community involvement, their running-related athletic participation, and an essay about "What Running Means to Me." The scholarships are made in memory of several beloved MVS members to honor their passion for running and the running community. Congratulations to this year's MVS Scholarship recipients! Good luck in college!